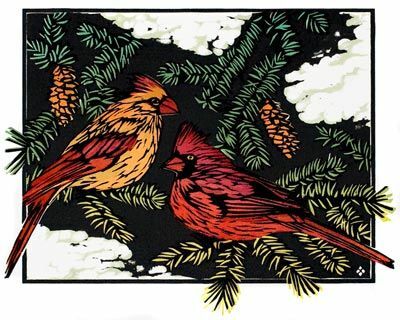 Betsy Browen’s printmaking studio and gallery is housed in a historic church, selling the current editions of hand-printed woodcuts, as well as the work of local and regional artists. It is open daily from mid -May through mid-October, and select days in December. Web store open all year.